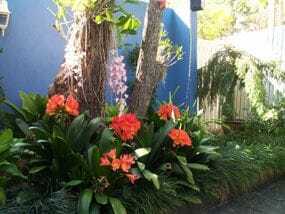 Local permaculturalist and garden designer northern suburbs Brisbane. Creating sustainable solutions for residential urban landscapes. Affordable consultancy services from $550. It's easy . . . we plan, you plant! We Plan . . .
Local horticultural knowledge and experience. Plan to Plant is a personalised garden design service providing quality horticultural advice, easy to follow plans and complete plant lists for residential, commercial and rural properties. You Plant . . .
Now its up to you! Follow your plans and your garden begins. We offer appropriate designs for any landscape no matter how big or small, follow the easy-to-use garden plans for DIY landscaping projects. Expert advice with experienced 'local' horticulturalists in your own yard! Good gardening advice can go a long way to achieving a professional result and saving money by using the correct plants for your particular landscape. "Sustainable gardens are about good design, innovative installation and working with the environment. We utilise sound management practices in sustainable gardens "
Aim for one meal a week from your productive garden for a start, and then as your experience and skills improve extend your growing areas to include many different crops. 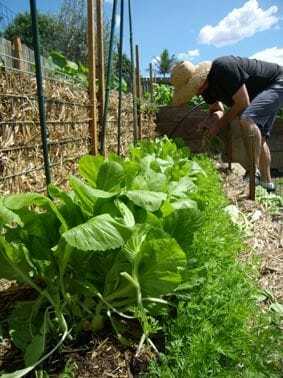 Stock take and re-sow weekly to compensate your harvest. Always ensure that you plan, prepare and plant with the season, and rotationally fallow your cropping area in between.